From Chalaca we sailed south for a day and rounded Punta Mita just in time to find the anchorage there, get the anchor set and have a glass while watching the sun set in the west. 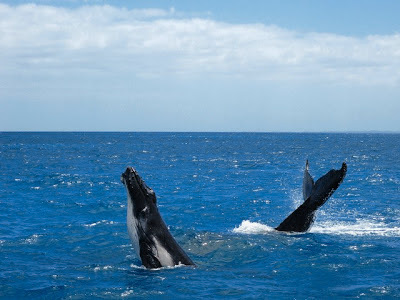 We came very close to multiple pods of Humpback whales, having to cut the engine and drift while they passed. We found that while you can see them easily with the naked eye, getting a good photo of a whale is difficult so I’m including here a stock photo. Punta Mita is a lovely anchorage at the northern entrance to Banderas Bay where you can sit and watch the amazing surf break on the beach. The anchorage there is a favorite of sailors who also surf and we were surrounded by youngish sailors on boards paddling around the bay. Tight abs abound. We moved the next day to La Cruz de Huanacaxtle which is a very popular hangout for boaters. I counted 45 boats at anchor, most of them sailboats. The marina there is nice also, charging about $30 for a slip or 30 Pesos to land the dinghy. 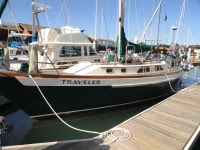 We stayed on the hook a couple of nights and then moved into the marina to get a better night’s sleep and to provision. 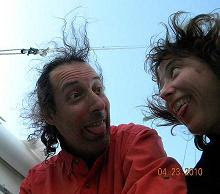 Mary and Ezrah flew into Puerto Vallarta and took a taxi to La Cruz and met us there. We are now finishing out provisioning and getting ready to move back out to Punta Mita for the night so we can get an early morning start to head south. Bandaras Bay is 20 miles across. We’ll get across the bay in the early morning then round Cabo Corrienties, staying about 5 miles offshore. The cape there juts out into the ocean quite a bit and has strong currents and rough seas. It is best to round the cape in the early morning or at night. Once past the cape we have the option of a marginal moorage just south of the tip or to keep on another 16 hours to Chamela Bay. 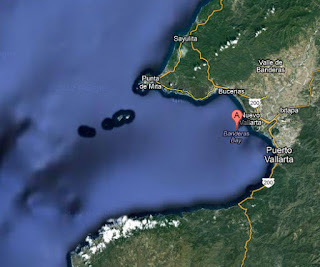 From there we have nothing but delightful little anchorages with small towns all the way to Barra de Navidad. So, not much to report here. We are just taking our time, meandering down the coast and finding comfortable anchorages and warm water to swim in. Ezrah and Mary and slowly shedding the city life influence and are slowing down a bit as they should. By the time they get off the boat we'll have them so very mellow that they will have culture shock. Mary is with us two weeks. Ezrah has no set schedule and we hope he will hang with us for quite a while. Gotta go get the dinghy up on the deck and secure all loose items aboard. We've got a little crossing to do! Have spent time (two different Christmas holidays) in Barra de Navidad, well Melaque, actually, which is just a walk down the beach. It was lovely and low key and rural in 1994 and then kind of a happening and less interesting place in 2004. What was especially nice was our visit to Colima from Melaque but you can't get there by boat.